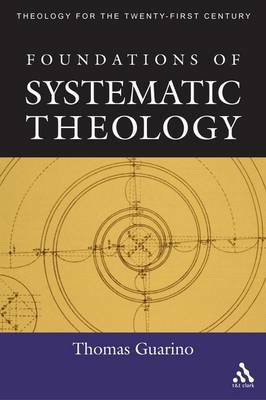 Guarino argues in this book that the doctrinal form of the Christian faith, in its essential characteristics, calls for certain theoretical exigencies. This is to say that the proportion and beauty of the form is not served or illuminated by simply any presuppositions. Rather, a determinate understanding of first philosophy, of the nature of truth, of hermeneutical theory, of the predication of language and mutual correlation is required if Christian faith and doctrine are to maintain a recognizable and suitably meditative form. Failing to adduce specific principles will lead either to a simple assertion of Christian truth, in which case the form of Christianity becomes less intelligible and attractive - or one will substitute a radically changed form, which is itself inappropriate for displaying the fundamental revelatory narrative of faith. The house of Christian faith possesses a certain proportion of structure; the form will sag badly if one removes an undergirding item, or if one beam is replaced with another of variable shape or size. The form's beauty will either be obscured, no longer clearly visible, or the form will become something quite different, no longer architectonically related to what was originally the case. The intention of this book is to discuss those doctrinal characteristics considered fundamental to the Christian faith, as protective of its revelatory form and, concomitantly, to examine the theoretical principles required if such form is to remain both intelligible and beautiful.